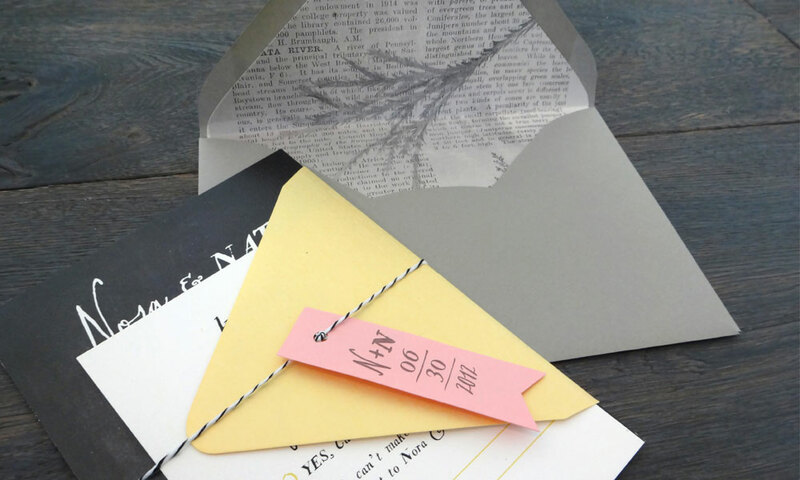 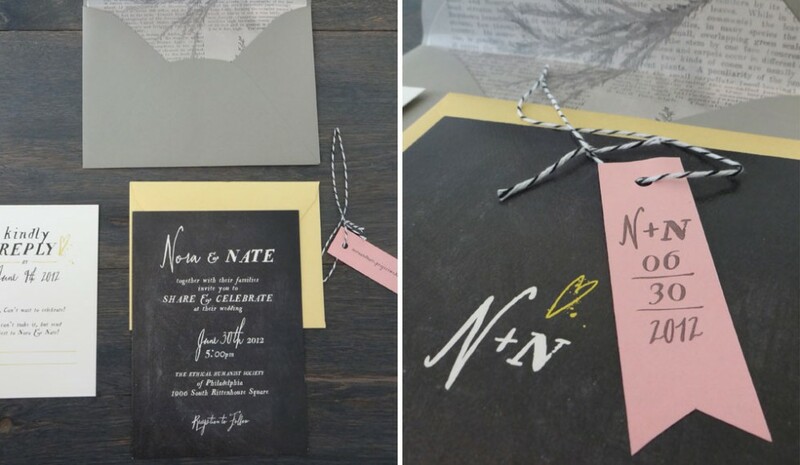 A wedding invitation for Nora and Nate, two elementary school teachers who met on the job. Nate loved chess, and Nora loved anything gold. 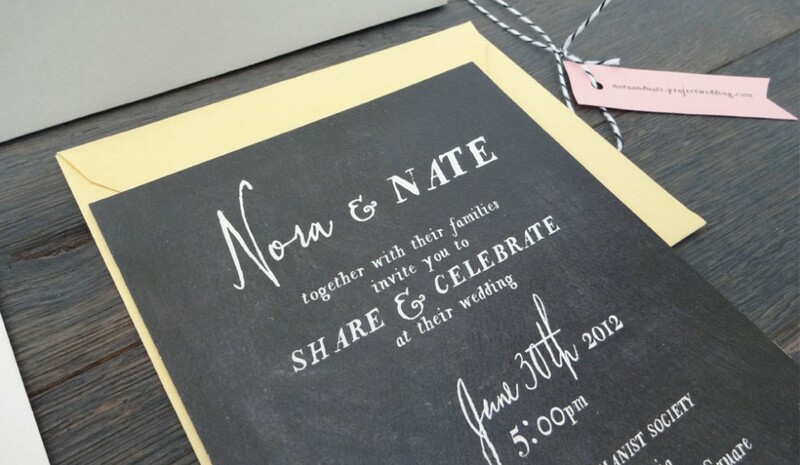 The invite was designed with a chalkboard background and fonts that looked hand drawn while still feeling sophisticated. The envelope liner was a page from an old book, and the pink tags were a way to include their registry/wedding site without including it on the overall invite.